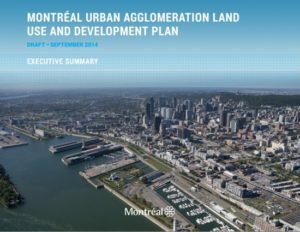 At the invitation of the Institute for Policy Alternatives Montreal (IPAM), thirty Montreal participants gathered on Sept. 22, 2014, in order to discuss the draft of the Montréal Urban Agglomeration Land Use and Development Plan (SAD), the adoption of which is expected in late December 2014. In the form of open discussion, the exchange allowed participants from diverse backgrounds to compare their perception of the situation and their ideas. The discussion focused on what to prioritize, monitoring mechanisms and the means to realize that which is envisioned in the document. 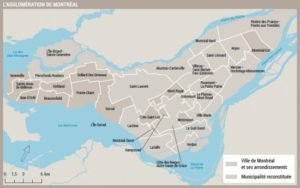 The role of SAD and its relationship with the PMAD and the urban planning that Montreal and related cities will have subsequently produced were also explored. It is expected that the discussions which took place at the round table will feed everyone’s reflections as part of the public consultations planned in the Fall. The Regional Plan sets guidelines for the agglomeration’s physical organization accompanied by a regional vision of its development. It helps guide development choices and decisions for all the agglomeration’s municipalities. Promoting an excellent living environment. Fuelling vitality of the Urban Agglomeration and its central core.